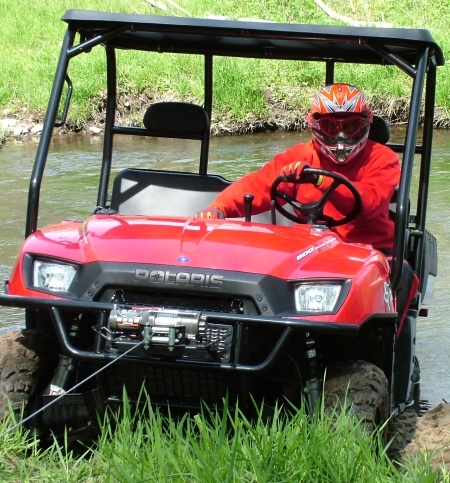 Note: If you have a Ranger Crew call for more details. 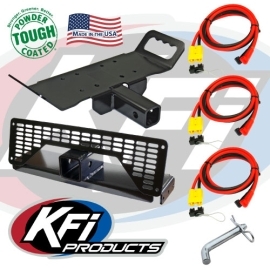 This kit will allow you to mount your winch on the front or the rear of your Polaris ranger using the stock rear 2" receiver and the supplied front 2" receiver. 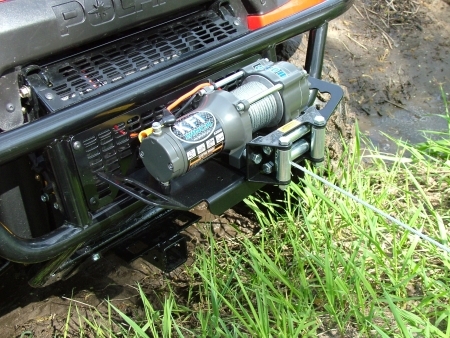 (Note: This mount requires a roller fairlead bracket that comes with most of the winches out there. If your winch kit did not come with a fairlead bracket you will need KFI part #100495 for Standard 3.00"x4.875" bolt pattern winches and #100695 for Wide 3.00"x6.60 bolt pattern winches.